On this page you can download my books in free PDF versions. You should note that these versions not are fully edited. Below the published books you can find my unpublished Ebooks and booklets. ​If you want to support me, or simply would prefer a printed book, my first eight books are published and available as paperback and Kindle Ebooks from Amazon – click here for my page on Amazon.com. Remember that they also are available from other Amazon sellers, as well as most major online booksellers around the world. Check the ones which are nearest your country. ​If you do buy a normal paperback/kindle copy of my books, your money is going towards two things – the cost of printing a book in a money-based economy, which is a reality of our Age; and the support of my work. If you do buy a paperback/kindle copy (for yourself or your family and friends), I would like to say a genuine thank you for your kindness in supporting these endeavours. You don´t need a Kindle to enjoy a Kindle book. Free apps available from Amazon will let you read a Kindle book on your Mac, iPad, Windows PC, iPhone, Android, Windows phone 7, or Blackberry. Under some of the books you can find a site navigation to relevant articles and updates. On the whole: the books are the place to find my complete work collected under certain titles. By reading the descriptions you can get a quick overview. In order to avoid the usual misreading of my books under the standards of science, please read the front page. The books are philosophy, not science! The background for this book is the spiritual crisis, I lived through because of inappropriate consequences of yoga and meditation. Viewed against this background I started to look at meditation as an art of life. I believe, that meditation isn't some kind of mental visualizing technique, but something philosophical, an art of life, which involves the entire cognitional, existential and ethical reality of Man. Moreover that this concept of meditation is the central core in all wisdomtraditions. 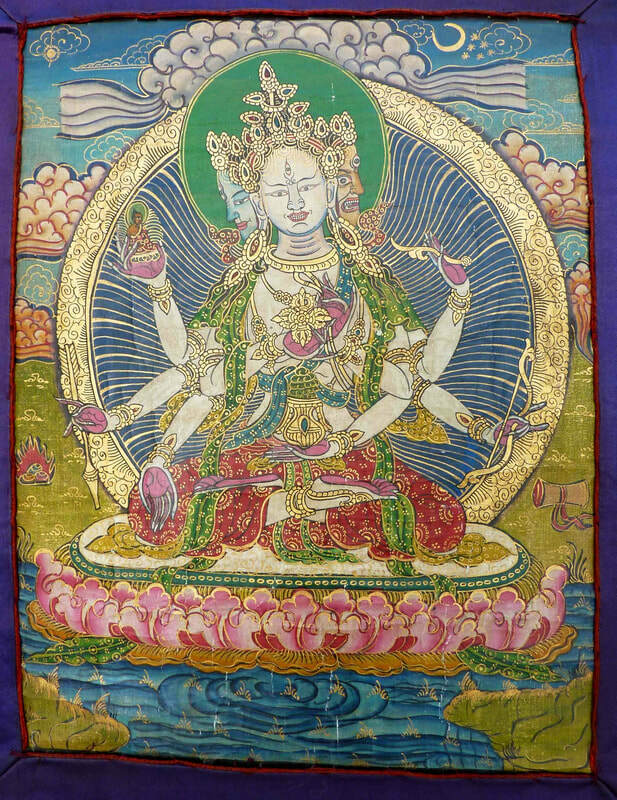 The unusual about the book is, that it claims, that all the great masters within the wisdomtraditions, actually used philosophical questions as their central meditation technique, and that all other spiritual exercises only were used to support this. In this way philosophical questions were a type of universal koans, which worked with the purpose to open the consciousness in towards the Source: the Good, the True and the Beautiful. In the book I seek to make this clear by constructing it as a guidance in, how this quite concrete can be put into practice. 1) The Compass (short introduction and update to the Hara Exercise). 2) The Yoga Cycle (in the introduction to the supporting exercises I advice people to practice some Hatha yoga exercises. This link is a guide to the exercises I myself perform daily). 3) The Nine Gates of Middle-earth. An update to the whole book, where the spiritual development is seen in relation with the chakra system. ​4) On Asking Philosophical Questions (a short introduction to the main theory of the book). 5) What is a Life Artist? (the book encourages you to become a life artist. Here is a short description). 8) Meditation as an Art of Life – The Ancient Logos (about how I recently have discovered the book´s similarities with new scholarly depictions of ancient philosophy). 9) A Dictionary of Thought Distortions (update to the philosophical diary. In the Socratic inquire technique I presented a few common thought distortions. This book is an expansion of the list. In many way this book is part of my own philosophical diary, and how I used critical thinking as a way of coming out of my spiritual crisis). 10) On my blog Morten Tolboll I regularly write texts related to this book. In the blog archive you can for example search under the categories Questions and Answers (examples from my counseling sessions), Philosophy as a Spiritual Practice (theoretical reflections), and Bohemian Travel Stories as a Spiritual Exercise (about the philosophical diary as a way of storytelling)]. This book is the last in a series of three about my teaching, Meditation as an Art of Life. The first book was named Meditation as an Art of Life – a basic reader. The second was named Dream Yoga. The first book is the basic reader on asking philosophical question in a meditative-existential way, and the systematical instruction in the belonging supporting exercises. The second book is about about how to - through critical thinking – navigate through the dream-labyrinth of life and death. 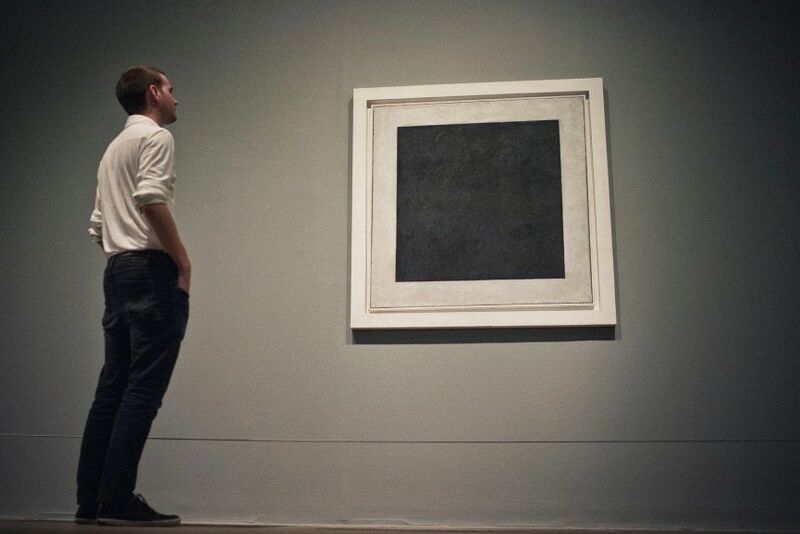 Even though A Portrait of a Lifeartist contains some last critical texts on the zeitgeist of New Age and Coaching, then it is a much more existential experimenting book, than logical analyzing, it is more seeing than thinking, more listening than arguing, and it is seeking to be the final instruction in art of life. This reflects itself in an investigation of the lifeartist as respectively a historical being, a rational being, a desirous being, a natural being, and a communicative being. The whole thing as a kind of diamond, where traditional philosophical problems are put into a concrete spiritual practice. Bohemian Travel Stories as a Spiritual Exercise (explains the idea behind the concept of the Art of Living). 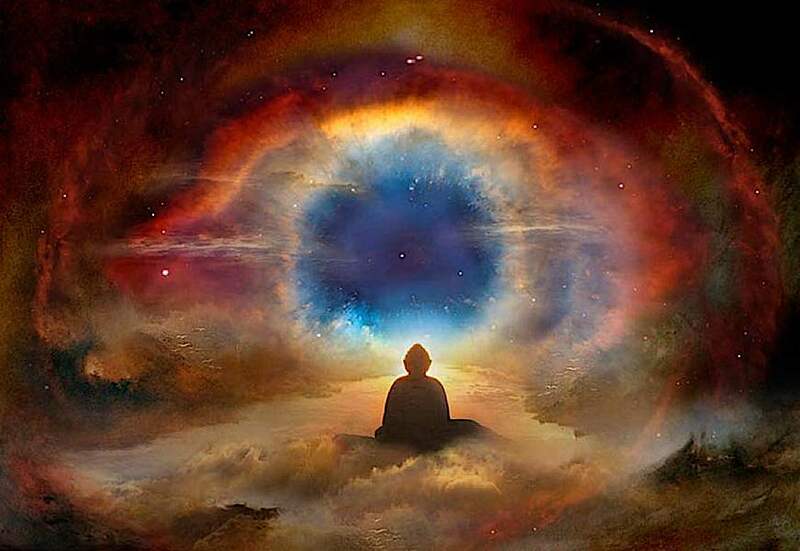 The spiritual practice consists of meditation and dream yoga. Meditation and dream yoga are two sides of the same thing. If you nevertheless should try to discriminate, then you about meditation can say, that the three aspects of meditation are relaxfullness, awareness and heartfullness. Dream Yoga is shortly said about realizing the illusory aspect of life and death. Normally Dream Yoga is understood as practising meditation during sleep, about realizing the illusory aspects of dreams, and about achieving special states in sleep, such as lucidity and astrality. But dream yoga is also about realizing the illusory aspect of the waking life, both one´s own thought distortions, but also the thought distortions of society (the book includes for example some very critical articles on the Zeitgeist of New Age and coaching). Finally Dream Yoga is about practising meditation during suffering, and during the deathprocess. Through 18 articles I draw a map over the spiritual journey through the dream-labyrinth of life and death. In this map I show both dangers and pitfalls, as well as pathfinders and trail markers. The map is in that way intended to function as a help so that people can find the dreamtracks and songlines in the artwork of their lives. 1) What is Dream Yoga? 3) On the Nature of Dreams. Thought distortions are “techniques”, that, unconsciuos or conscious, are used from an interest in finding ways of getting on in the world, rather than an interest in finding ways of discovering the truth. Thought distortions are the background for poor reasoning, diversionary ploys, seductive reasoning errors, techniques of persuasion and avoidance, psychological factors, which can be obstacles to clear thought. The question is: should one use thought distortions? The question raises the old discussion between Socrates and the Sophists. The Sophists were teachers of rhetoric who taught people how to get on in the world. In this they uncritically used thought distortions. Socrates was the philosopher who taught people in ways of finding the truth. In this he critically examined, re-structured and changed thought distortions. With the claim that the Sophists today are back in that mixture of postmodernistic intellectualism, management theory, self-help and New Age, which I call The Matrix Conspiracy, I will, with this book, present a manual in the Socratic way of life. The book is a follow-up to the three books on my teaching Meditation as an Art of Life (Meditation as an Art of Life – 2008, Dream Yoga – 2009, A Portrait of a Lifeartist – 2010). It is also a reference book to my two books on the Matrix Conspiracy (The Matrix Conspiracy – part 1 and 2). [I consider this book to be a kind of philosophical diary on how I, during my spiritual crisis, used critical thinking (elenchos, refutation, logic) to distinguish base magic (New Age), which leaves everything to chance, and may lead its practitioners to consort with falsity and evil daemons, and higher magic or theurgy. The latter is a guarantor of truth and happiness, combined as it is with the source itself: the Good, the True and the Beautiful. Critical thinking simply rescued me from madness. As a result I came to believe that Socrates represented an ancient path of wisdom, where philosophy in a similar way was used as a navigator through the Spiritual Twilight Zone. I have written about this is my blog post Peter Kingsley - Another Story Waiting to Pierce You]. This book is the second part of two books on the concept of The Matrix Conspiracy. With this final book on the Matrix Conspiracy, I am, as in my teaching as such, placing philosophy at the heart of it, and I do so in order to protect the precious store of wisdom from the assaults of charlatans, to create a kind of temple to truth in the midst of falsehood, and to marginalize the Matrix Sophists who prey on human confusion. ​With a preface by the Devil we are introduced to the love story of Dracula and Mina, seen with the eyes of a philosopher. This book is not an academical treatise dealing exclusively with Tolkien´s philosophy. It is book about how I use Tolkien in connection with philosophical counseling in Rold Forest in Denmark, and is in that way as much a summary of my own philosophy. In the book I claim that Sauron´s One Ring has two demonical movements which are seen in our culture of today: the movement into the ego (the will to power), and the movement out towards the others in ideology. Hereby the Truth, Beauty and Goodness of the Wholeness is reduced to power and ideology. The danger is the reductionism of modernity. 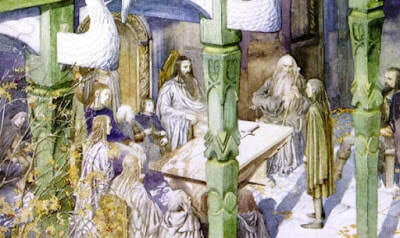 Tolkien´s philosophy is a pre-modern world-view, where the Wholeness is more alive, more dreaming, more awake. In modernity (and even worse: postmodernity) the Wholeness is reduced to its parts. Truth, Beauty and Goodness is sleeping, suffering and dying. In Middle-earth, Truth, Beauty and Goodness is dreaming and eventually awake. More than that: there is so much life in things that we would call it “magic”. There are two very different kinds of magics in Tolkien´s work. The two magics are not just different but opposed. In fact they are at war, and our civilization is in crisis because of the war between these two kinds of magic. 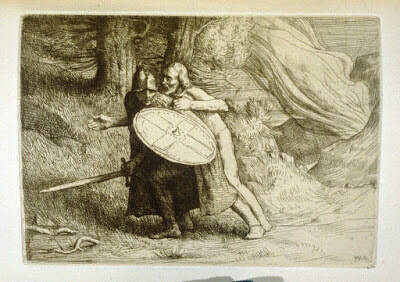 One kind of magic, Enchantment, is our healing, and the other – the kind exemplified by the Ring – is our destruction. The aim with the book is to inspire to a re-enchantment of our dying world. This Ebook is the third version, and is still not fully edited and updated (look out for version 4, 5 etc.). 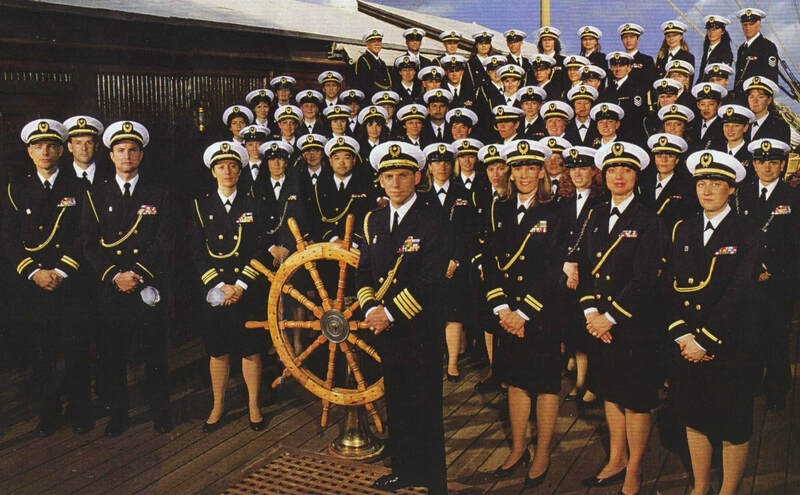 Over the past decade, Scientology’s bizarre belief systems have become a matter of public record. Given all the controversy and pop culture jokes, it can be difficult to come up with a frame of reference to understand why the controversial organization has managed to survive for so long. In this Ebook I will reveal a quite special explanation, namely that Scientology is a role-playing game! The concept of games is embedded in the very fabric of Scientology’s worldview. The founder, L. Ron Hubbard wrote endlessly on the subject of games, identifying them as a core concept of the Scientology metaphysics, while daring us to identify the entire enterprise as a giant game. In this Ebook I will take a look at the things Scientology has in common with role-playing games, especially Dungeons and Dragons. I will also look at how the line between fact and fiction systematically is seeked blurred in Scientology, and how Scientology has this in common with other New Age systems. A demonical aspect. The ethics of Dungeons and Dragons (and other role-playing games) is contrary to this a training in the discrimination between fact and fiction. Finally I introduce my book Lucifer Morningstar – a Philosophical Love Story. It is this book which is The Matrix Player´s Handbook – a manual for philosophical navigation in the Devil´s game. In this Ebook I will show how New Age is building on Western Idealism, a monistic metaphysical doctrine which claims that only minds and mental contents exist. Complete subjectivity. From this doctrine New Age has created the idea that you can create your own reality from your thoughts or mind alone. New Age often seek to justify this by using the Eastern concept of Maya, which means illusion. Illusion is the reality others have created and which you are a slave of. Instead you should create your reality. This is referred to as enlightenment. In this Ebook I wll explain that this is a misunderstanding of Maya, which hasn´t anything to do with a thought created subjective reality, but with the lack of understanding that everything is impermanent. The Eastern concept of enlightenment is about getting free from attachment, and entering a complete objectivity, the direct opposite of idealism. Finally, I will also explain how this confusion has led New Age into a world of fantasy, relativism and even nihilism. [Update: The Eckhart Tolle Show - a Critique. Tolle should have been included in the book as a Neo-advaita teacher]. In this Ebook I will explain Karen Blixen´s mysterious relationship with Lucifer. I will show that it has to do with the mystical experience. In many ways Blixen´s work and life is a rebellion against the mediocre Christianity, which tried to clip her wings as a child. In her works this comes to expression in her “counter-stories”, for example when she reverses Kierkegaard´s three stages on the way to becoming a true self: the aesthetic, the ethical, and the religious. The mystical experience is about returning to nature, which she decribes as a fall, a Luciferian movement from the religious and ethical, to the aesthetic. She claimed that the true human nature is that of an artist. The concept of a return to nature is also the background for her depiction of herself as a witch, a concept which came to expression in her magical circle of male students, to whom she tried to transform creative energies and images. A relationship which they described as demonical, a kind of seducement into her personal Earth-Moon Kingdom. In the book I will also describe my own mystical connection with Karen Blixen, and emphasize that her Luciferian relationship hasn´t anything to do with satanism, but with the surrender that is necessary in order to receive the mystical experience. If it is my task to continue Blixen´s work you could say that my concept of The Matrix Conspiracy is a counter-theory proclaiming: What if I told you that conspiracy theories are a conspiracy? Read more here :The Matrix Conspiracy updates). Evolutionism was created in the 19th century, but the background is to be found in the Renaissance, not least in the scientific breakthrough from approximately 1550 onwards. It is is an ideology which we still celebrate in the Western world. We find it natural to talk about progress, development, growth, renewal, innovation, visions, whether it's economic, political, social conditions, spiritual - and also when it comes to art. It is a linear view of history where it is about being constantly progressive, revolutionary, dynamic, unconventional, without rest, without end. Evolutionism is so close-knitted in our minds that we find it very difficult to imagine that it could be different. But evolutionism is a newer Western phenomenon. In the rest of the world, it did not exist before the Europeans. All pre-modern societies had a cyclic view of history. In the society of today it is stated in all areas that we must move on, develop ourselves, renew ourselves and the institutions, companies, develop trade, exports, imports. In the cyclic societies concepts such as gods, providence and destiny were central. But such concepts have long been replaced with ideas of growth and progress. In business, innovation and expansion have become key words. Evolutionism has gone so much into the blood that it also characterizes our view of spirituality. In this Ebook I will describe the different variations of evolutionism, as for example historicism and reductionism, as well as its current popularity in America, with transhumanism and its dreams about the future merging of humans and machines. My intention is to show how evolutionism makes us blind for a number of relationships, as for example down-cycles, the shadow side of life, negative consequences, and most important: the wisdom of the past. I consider evolutionism to be the beginning of a long period of human decline. ​This booklet is an introduction to my personal interpretation of the chakra system. It has to do with my philosophical counseling practice, and during the text you can find links to other articles and books, which explains further what this booklet only briefly mentions. Philosophical counseling with me is about the spiritual practice in itself, a journey which I describe as mythos-logos-mythos. You start out in the mythic life, or magical thinking, are using philosophy as a navigator (logos, discrimination), and return to the mythic life, transformed by an otherworldly enchantment. This three-phased journey can be described as sleep-dream-awake; that is: a process of awakening. ​In this booklet I will describe the nine chakras in a mythical way, and give them names according to their storytelling qualities. 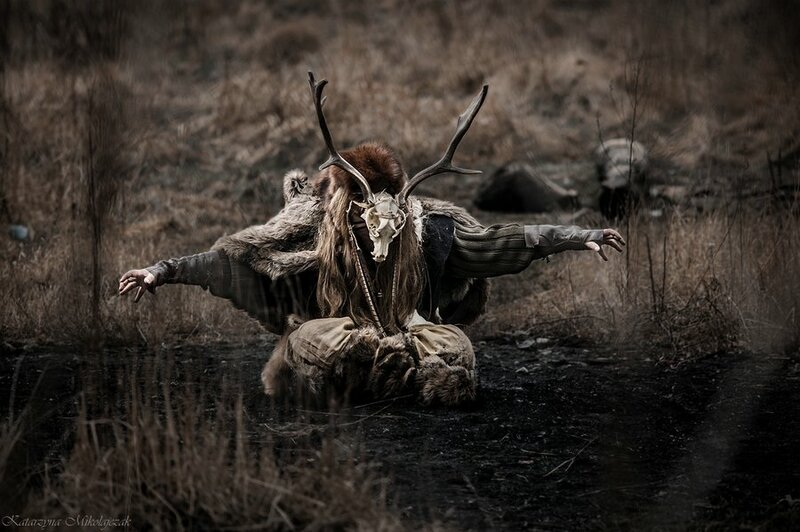 In my blog archive I have categorized articles which deal with this under the title Nordic Shamanism and Forest Therapy. Today we are witnessing a renaissance of the proposal of using psychedelics in connection with spiritual practice. In this booklet I will give a warning against this by seeing the difference between genuine mystical experiences and psychedelic experiences. I will look at the real Kundalini experiences of the American author Christina Grof, and the LSD induced experiences of her husband, the psychiatrist Stanislav Grof. I will furthermore see this in relation to the real Kundalini experiences of mystic Kate Thomas, as well as my own Kundalini experiences. All this wil finally be put into the context of the most famous account of the advocacy of the use of psychedelics in connection with spiritual practice, namely the book The Psychedelic Experience: A Manual Based on The Tibetan Book of the Dead, by Timothy Leary, Ralph Metzner and Richard Alpert (Ram Dass). Plastic shamanism is a pejorative colloquialism applied to individuals who are attempting to pass themselves off as shamans, holy people, or other traditional spiritual leaders, but who have no genuine connection to the traditions or cultures they claim to represent. In this booklet I will show how plastic shamanism has its root in the American anthropologist Michael Harner´s concept of core shamanism. I will investigate the problem of cultural appropriation, and on a broader scale: the problem of New Age colonialism, and the systematic destruction of the original wisdom traditions. I will also claim that plastic shamanism doesn´t seem to build on actual spiritual experience but on psychological constructions. In this connection I will give a presentation of what a traditional shamanic awakening consists in. Finally, I will look at shamanism seen in relation to spiritual practice. 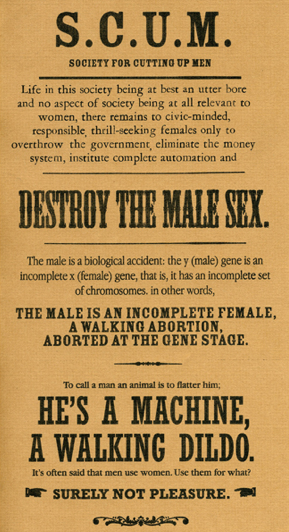 The main manifest of fascistic feminism is the so-called SCUM Manifesto, written by Valerie Solanas. Solanas was a radical feminist, and she claimed something, which fundamentally seen is the same as what was said about Aryan physics and Jewish physics in Hitler´s Germany: since women have two x-chromosomes, where men have one x- and one y-chromosome, then the female perception, thinking and picture of the world et cetera, are different from, and truer, than the masculine. In this booklet I will describe the art of pilgrimage seen in the light of the pilgrimage narrative in J.R.R. Tolkien´s The Lord of the Ring. I will hereafter outline a metaphysics of pilgrimage, and describe that on a pilgrimage you engage in a process of waking up to this metaphysics. 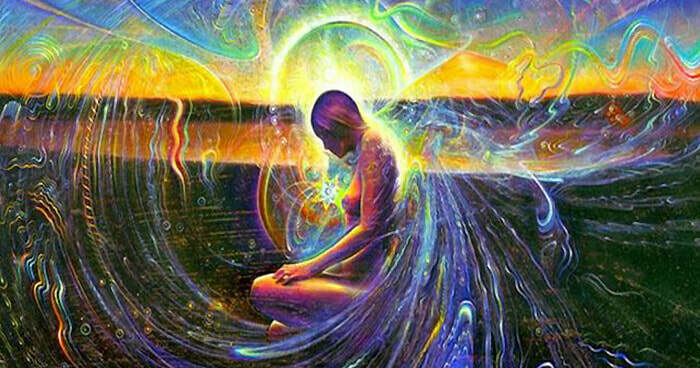 I will show how such an awakening process is mirrored in all mythologies. I will do this by seeing pilgrimage in relation to Joseph Campbell´s monomyth about the Hero´s Journey. ​The question What is consciousness? is about one of the central problems of philosophy, maybe even the central philosophical problem. It is about the human nature. Who am I? What is the I, the subject? What is its ontological status? Wherein does its identity consist? How is its role in connection with the question of personal identity or rather the criteria for personal identity? It is a problem which is related to a number of other philosophical problems, for example the psycho-physical problem (mind-body problem), the problem of the external world, the idealism-materialism problem and the problem about determinism contra free will. In this booklet I will investigate two fundamental viewpoints in relation to the problem of consciousness, namely a reductionist and a non-reductionist. Through history we know reductionism from, among others, materialism, according to which all phenomena of consciousness, such as the sense of an I, which chains these phenomena of consciousness together, are purely illusionary, either an epiphenomenon or something completely non-existent. Today we see this viewpoint gaining more and more popularity, especially in transhumanism, which predicts that consciousness will melt together with computers. Against this I will defend a non-reductionist viewpoint with roots in the original wisdom traditions. 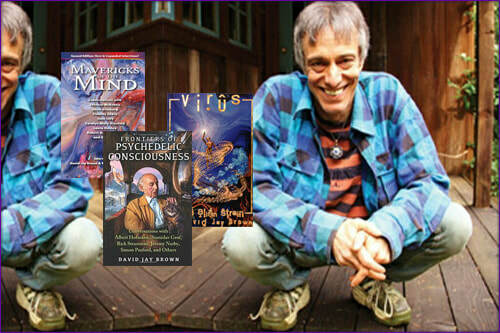 David Jay Brown is an American writer, who is an advocate of using psychedelics in connection with therapy and lucid dreaming. He could be said to be a present day advocate of the psychedelic renaissance. My main goal with this booklet is to make aware of his confusion of spirituality and psychedelics. This is a common confusion, and the booklet is therefore not only about Brown, but about the thoughts behind the psychedelic renaissance as such. These thoughts could be gathered under the term “psychedelic transhumanism”. Their common vision shares much with the rest of the transhuman community, including an embrace of technology and science as both potent and inevitable; an evolutionary model of the universe and humanity; a sense of the human organism as something that can be tinkered with and expanded; a recognition of drugs as a technology that can dramatically reinvent identity. In this booklet I will show how the uninvestigated philosophy behind this (the proponents are usually not philosophers), will have unforeseen consequences. 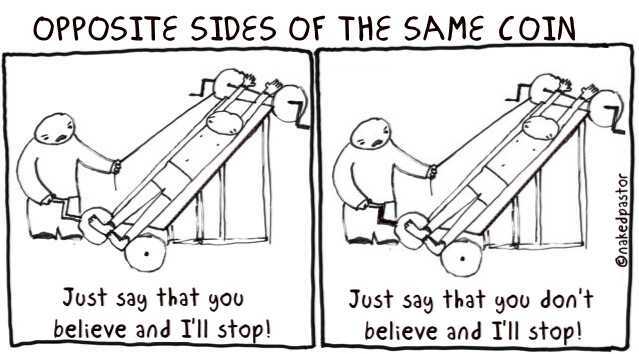 Atheist fundamentalism is advanced by a group of thinkers and writers who advocate the view that superstition, religion and irrationalism should not simply be tolerated but should be countered, criticized, and exposed by rational argument wherever their influence arises in government, education, and politics. Atheist fundamentalism is especially represented by four prominent atheists: Richard Dawkins, Sam Harris, Christopher Hitchens and Daniel Dennett. In this booklet I will show how surprisingly self-contradictory atheist fundamentalism is in its “defence” of rationality and science, which only seems to be an excuse for beginning a pathological, eliminating warfare against religion. In other words: the rhetoric and lack of rational argument exposes atheist fundamentalism as a hard-bitten ideology. The only adequate term is fundamentalism. The Peter Pan Project is about rediscovering the child within. It involves the Luciferian break with the top-heavy Indo-European symbolism of human growth seen as a ladder. Instead is introduced the symbolism of the embryo and the circle. It involves my concepts of being a philosophical globetrotter, life artist and idler. I campaign against the work ethics and promote liberty, autonomy and responsibility; in reality: the fine art of doing nothing. In this I take an anarchic approach to the everyday barriers that come between us and our dreams. So I´m in for spiritual anarchism, civil disobedience, and the right to be an idler. 1) Head: the introduction of the Navigator (critical thinking, the philosopher). 2) Heart: the introduction of Tonglen (investigating the shadow, ethical practice, learning to see with the heart). In this booklet I will explain the philosophy of the Peter Pan Project by relating it to, partly, of course, J.M. Barrie´s Peter Pan figure, but also James Cameron´s movie Avatar, the philosophy of Tolkien, and Antoine de Saint-Exupéry, who was another author with focus on the child within.